Polyethylene (PE) and EVA foams is a closed celled foam manufactured in a mould or extruded process which comes in a large range of densities and hardness. The applications for PE and EVA foams are endless. Specialty Foams has the only PE and EVA slitter in Western Australia and are able to slice sheets from 5mm to 100mm in our WA facility. We are also able to cut and laminate blocks for those large jobs (to any height) and. with our fast wire cutter, we are able to shape anything into your requirements. Polyethylene (PE) and EVA is a closed cell cross linked foam available in a number of different grades. We are sure to have the product you require, whether it is for boat building, construction or expansion joints. With its resistance to chemicals, fuels and oils, there is an endless list that PE and EVA is suitable for. Available in a range of sheet sizes thickness and we also shape to requirements. Archery Targets manufacture here in WA High density PE foams made to any size requirements. Custom cutting of boat fenders of any size to suit your boat. We can draw these for you or you can send us your own drawing file for us to convert. Multiple different grades to choose from to suit your desired application. Marine buoyancy foam is a foam used as flotation, with closed cell cross linked polyethylene being the most efficient buoyancy material for long time use. It will not absorb water overtime, as opposed to expanded polyethylene which can. This foam is inert to solvents and will not cause any electro chemical reaction when coming into contact with wood, steel, aluminium alloy, glass fibre laminates, paints, varnishes or adhesives. 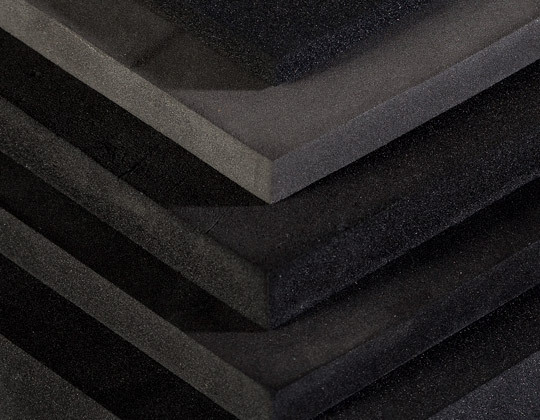 Buoyancy foam has high impact resistance and will not powder or crumble, making it suitable for installation without the need to seal in an outer skin. The foam is easily cut with a standard bandsaw. At Specialty Foams we recommend using Crossed link PE foam for marine buoyancy and not EPE. This is because over time EPE, like pool noodles, will take up water and become water logged.